Sorry... the 2017 BMW 440 is no longer being sold as new. 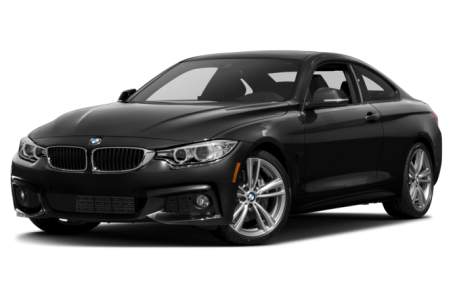 Instead, take the first step to a great deal on 2019 BMW 440 with a free price quote! The BMW 4 Series debuted for 2014 as a replacement for the previous-generation 3 Series coupe and convertible. The 4 Series also includes the high-performance M4 and 4 Series Gran Coupe, a four-door model with coupe like styling. Power comes from turbocharged four-cylinder and six-cylinder engines, and rear- and all-wheel-drive versions are available. Competitors include the Audi A5 and Mercedes-Benz C-Class. Two new engines bring more power and new model nomenclature. A 248-horsepower, turbocharged 2.0-liter four-cylinder replaces a turbo 2.0-liter that had 240 hp, and the model designation changes from 428i to 430i. Six-cylinder models have a new 320-hp, turbocharged 3.0-liter inline-six engine, replacing a 300-hp six-cylinder of the same size, and these models are now designated 440i instead of 435i. Wireless phone charging and a Wi-Fi hotspot are new options. With the same length, width, wheelbase and track as the two-door coupe but a bit more headroom, the 4 Series Gran Coupe sports a tall hatchback sedan profile and 45.9 cubic feet of luggage space. Like the 4 Series coupe and convertible, it's offered in four-cylinder 430i and six-cylinder 440i form. The high-performance M4 is available in coupe or convertible form and competes with the Cadillac ATS-V and Lexus RC F. For 2017, the adaptive M suspension is standard instead of optional, and wireless phone charging and a Wi-Fi hotspot are included in the Executive Package.